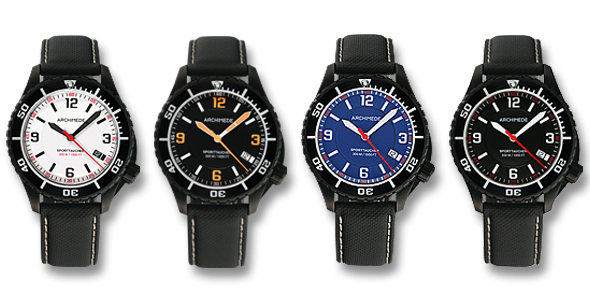 ARCHIMEDE SportTaucher finally online available. FINALLY ONLINE IN OUR ARCHIMEDE ONLINE SHOP! 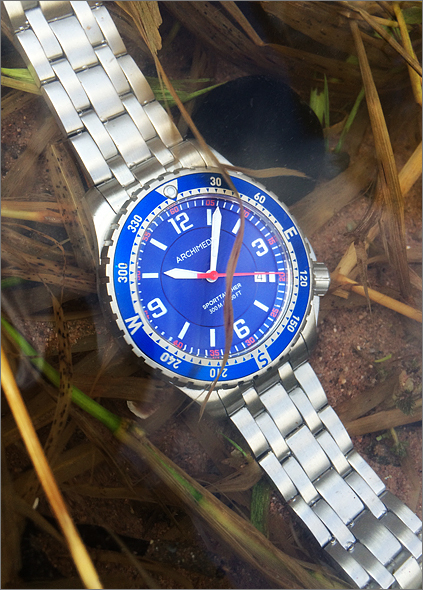 We tested the new ARCHIMEDE SportTaucher in the ‘Nagold’, a nice river in the Black Forest – right next to our company. Enjoy the great ‘live’ pictures! 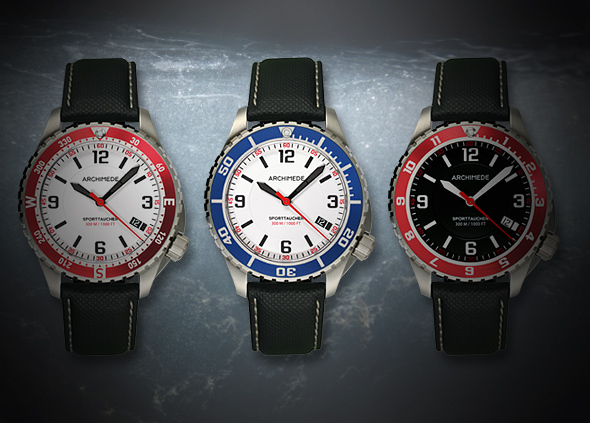 ACHIMEDE presents the new SportTaucher models with BLUE & RED bezel! They will be available online within the next 2 weeks. More information as well as pricing will follow. 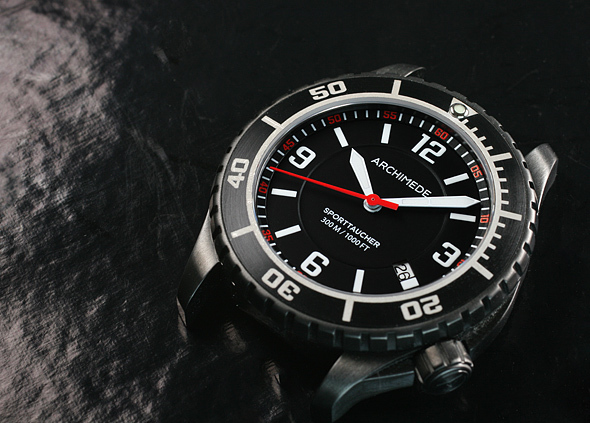 The award-winning ARCHIMEDE Pilot Chronograph now with black PVD pushers & crown. Classic design and engineering precision come together in this outstanding pilot’s chronograph. The Chronograph with the black PVD case comes with black, light and dark brown leather strap with steel screws. The price is € 1,445.00 (including VAT), € 1,214.29 (excluding VAT). For ordering and more information please go to the ARCHIMEDE website. FINE VELOUR LEATHER STRAP for ARCHIMEDE Pilots! We now offer a fine velour leather strap for the ARCHIMEDE Pilots family. Welcome back in 2015! We hope all of you had a great holiday season and a happy new year! We would like to welcome the new year with great ARCHIMEDE news: The popular ARCHIMEDE SportTaucher will have some changes. These includes inter alia red and blue aluminium inlays, bronze bezels, suitable second hands and new black PVD ICKLER case.